If you are looking for place to work and rest look no further. If you are looking to party dont even bother. I have been traveling for more than a year and this hostel has the best management Ive seen so far. 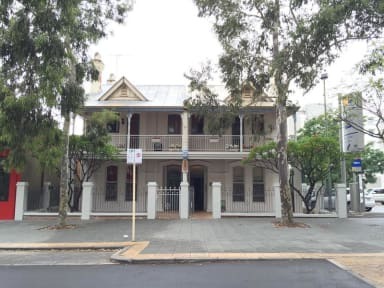 One of the better hostels we've stayed in and definitely the best of 3 we tried in Perth city. Quiet but not a ghost town, great location, ample space, kitchen is nice and big. The only negative that comes to mind is the curtains were so thin, the motion sensor lights shown super bright for that brief time. Other than that, would highly recommend! The staff is friendly and helpful. The rooms are basic and at a very good price for this location. It was both close to the city and close to the bus going to/from the airport. I would definitely stay here again! Stayed in a double private room, very good value for money, spacious and ideal for what we needed it for! Air con worked well although it was only on 8pm-3am on timer! Kitchen facilities were great and very clean! The location was really good, the hostel was opposite the red cat bus which is a free bus service in Perth! The staff were really helpful and very nice! Would definitely stay again! Really friendly and helpful staff! Room was okay! Didn’t see one member of staff in my stay, not really a hostel. It does what it says on the tin, nice bed for a night but he pillows have some crazy wrapping on which make them unbearable to sleep on. Cute hostel - good for people not looking for a party place, but also not very sociable. Good facilities, decent rooms & wifi included. Advertised that some food was included - there wasn't any so that was a bit of a let down. All in all, nice place. The air conditioners are on timers to only be on at night, so the rooms are (conservatively) a billion degrees during the day. They covered their pool in brick, so every picture out there is inaccurate. Place was pretty “meh” overall. 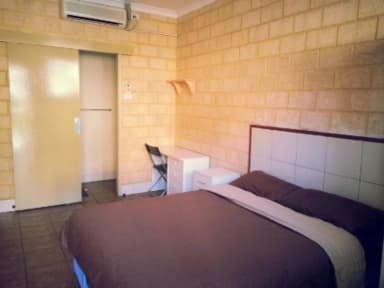 If you are looking for a cheap accommodation, this would be a good choice in the city. However, you have to face the unsanitary space that a hostel should never comes with. There are at least 10 dead mosquitoes body with their bold on my room's wall. In addition, when I entered the common room in the middle of the night, a few cockroaches crawling on the floor made me really sick.